Buy Nenuco Products with 48 HOUR UK Delivery! 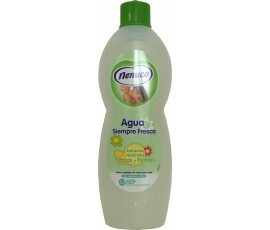 At Lemon Fresh UK we stock Nenuco products. Products are ready right now for immediate dispatch across the United Kingdom. Unlike other competitors, when you order we dispatch directly from our UK depot (and not Spain) meaning speedy delivery for you. We pride ourselves on providing outstanding genuine Nenuco products (beware of fake and untested Nenuco imitation products when shopping online! ), very keen and competitive pricing and of course the highest levels of customer service. We take immense pride in our business and really do enjoy our job. If you have any questions regarding products or delivery you can always give us a call directly to speak to a member of our team who will always be happy to help. Thanks for visiting Lemon Fresh UK today and we really look forward to processing your order. We have a Lemon Fresh supply. Nenuco Cologne (Agua de colonia) is a very popular cologne in Spain. Tested and recommended by the Spanish Institute of Paediatricians, this cologne is suitable for persons of all ages with sensitive skin. The Nenuco fragrance is unique and recognisable. We aware of fake imitations sold online and on the local markets. All of our products are imported directly from Spain and sold in the UK, straight to your doorstep. The Nenuco brand is probably the most popular from all of the Spanish Colonias due to its fresh and lemony smell. The bottles are 1200ml in size and weigh 1.2kg each. At Lemon Fresh UK we strive to provide the best Nenuco and Air Wick products directly imported from Spain. From our base in Essex we carefully package all orders and dispatch nationwide across mainland UK. We pride ourselves on quality, value and excellence. At Lemon Fresh UK we competitively price all of the products we sell, provide the highest quality service and of course deliver outstanding customer care. Because of the lemon scent, you will find this deters both nits and gnats (it won’t kill them, but as they dislike citrus smells they will find another victim!). So, spray a little onto children’s hair before school, and splash a little on yourself before you enjoy that evening barbeque! There are no English instructions on the labelling, as this product is imported directly from Spain. The Nenuco fragrance is unique and instantly recognisable. Many people often bring back a bottle or two from Spain and up until now Nenuco Cologne has been hard to come across for the every day UK user. At Lemon Fresh UK we have lots of Nenuco Cologne in stock and ready for dispatch across the UK. Nenuco Cologne has a variety of uses. Primarily people use it as a 'splash' for their babies skin. Quite often people put it in a spray bottle and also use it as a cologne or perfume. We have heard of other uses too. Some people put a few drops in the iron to make their clothes infused with the Nenuco fragrance. Nenuco Cologne can be used in a variety of ways. Nenuco Agua De Colonia is a beautiful Nenuco cologne. This cologne comes as a travel bottle which is perfect for your handbag or travel bag. The bottles are also refillable. A popular choice is to buy the large 1200ml bottles and then refill the smaller travel bottles with the beautiful lemony fragrance. 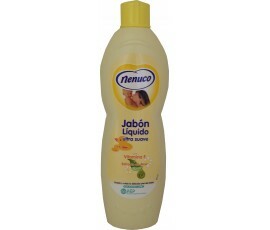 At Lemon Fresh UK we are proud to stock the Spanish brand Nenuco and deliver the products all across mainland UK. Buy with confidence today from us. Our prices are competitive and our service second to none. Nenuco have created another PH Neutral fragrance that is an instant classic. This is Nenuco Agua Siempre Fresca. This has a citrus/floral smell and is gorgeous. On the UK market this is proving popular. This comes in a 600ml bottle and is also tried, tested and approved by the Spanish Institute of Paediatricians. This is suitable for babies, children and adults with sensitive skin. At Lemon Fresh UK we pride ourselves on selling genuine Nenuco products imported into the UK directly from Spain. Nenuco Agua De Colonia is a beautiful fragrance which is unique and very lemony. 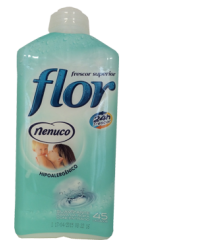 It is a popular fragrance and usually comes in a 600ml or 1200ml plastic bottle. This product is the Cristal version which comes boxed with a glass 200ml bottle. This Agua De Colonia special edition is perfect as a gift for any occasion. At Lemon Fresh UK we pride ourselves on selling Nenuco products across the UK. We are competitively priced and offer outstanding customer service every time you order. Order your Nenuco Agua De Colonia 200ml Crystal now. Nenuco are renowned around the world for their baby soft, high quality products. This product is no different. The Nenuco bath aloe vera comes in a 750ml bottle and is perfect for super-sensitive skin and babies. All of our Nenuco products are imported directly in to the UK and are ready for dispatch directly from our UK base. Don't be fooled by cheap imitations, all of the Nenuco products we sell are 100% genuine and are ready for dispatch. Lemon Fresh UK pride ourselves on high quality, competitive pricing and of course, outstanding customer care. Don't delay, order today. 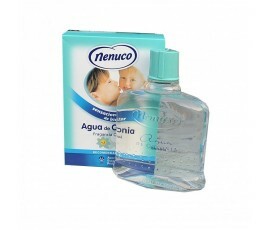 Nenuco baby oil is perfect for babies, young children and adults alike. Promoting healthy and hydrated skin, this fantastic baby oil comes with the infused smell of Nenuco. Nenuco products are tried, tested and approved by the Spanish institute of Paediatricians making it one of the number one products for your baby. At Lemon Fresh UK we are pleased import this product directly from Nenuco in Spain into our UK depot. We can dispatch this immediately so you will not have to wait long for your goods to arrive. We are one of the top choices for Nenuco products in the UK and pride ourselves on great prices, great products and outstanding customer care. Order your Nenuco baby oil now through us. 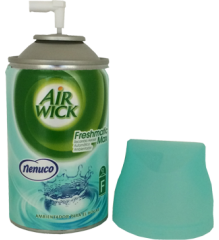 This is the Air Wick Nenuco FreshMatic Dispenser - comes with 1 can of Nenuco Dispenser refill in the box. This is perfect to leave your home smelling of the unique lemony aroma of Nenuco. This dispenser will blast the Nenuco fragrance at intervals which will infuse your home with the smell of Nenuco. It automatically releases bursts of Nenuco when required to ensure your home is always smelling its best. Additional refills cans are available to purchase separately. 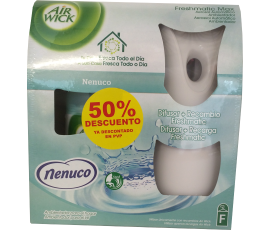 This is the Air Wick Nenuco Plug-in refill. This is perfect to leave your home smelling of the unique lemony aroma of Nenuco. This is a friendly smell which will infuse your home with a smell that lasts hours. Lemon Fresh UK are proud to be a UK supplier of Nenuco products. We have fast dispatch, competitive pricing and of course this is all backed up with exceptional customer care. Order with confidence today. 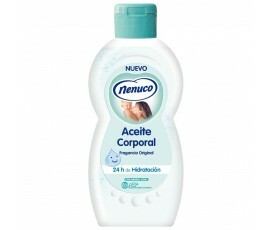 Nenuco Colon Washing Liquid (Gel) comes in 1.6 Litre containers. Infused with the unique Nenuco fragrance it will leave your clothes smelling fresh. This Nenuco washing liquid is also perfect if you are sensitive to certain washing powders as it is suitable for sensitive skin. Approx 30 (+1) washes. This is suitable for whites and colours and can wash in water as low as 20 degrees! Buy from Lemon Fresh UK today. We import all Nenuco products directly from the manufacturer into the UK and sell to the general public in the UK. All products are genuine Nenuco products straight from Spain. Order with confidence. Nenuco are one of the best Spanish brands around. The Nenuco Handwipes come with around 20 handwipes per packet. These handwipes have the unique lemony aroma of Nenuco and leave your hands feeling fresh and clean. Lemon Fresh UK import all Nenuco products directly from the manufacturer in Spain into the UK. Operating from our base, this product is in stock and ready for dispatch. Order now with confidence. 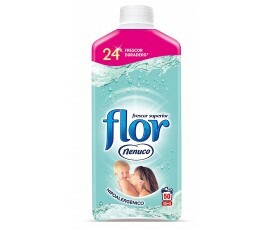 The Nenuco Flor Fabric Conditioner serves around 45 washes per bottle. This comes in 1.1 litre bottles and is hypo-allergenic. This is infused with the unique lemony scent of Nenuco and suitable for people with sensitive skin. Lemon Fresh UK import directly from the manufacturer in Spain and stock products in our UK base ready for quick dispatch. Our products are 100% genuine and we strive to offer the best service possible. Order with confidence. Lemon Fresh UK Ltd are a registered company in England. Company Number: 11878249. Registered Office: Lemon Fresh UK Ltd, Headley House, 16a Orsett Road, Grays, Essex, RM17 5DL.